Timber frame homes are great for horses, too! Last year, Wind River Timberframes constructed a timber frame home for some very lucky horses. 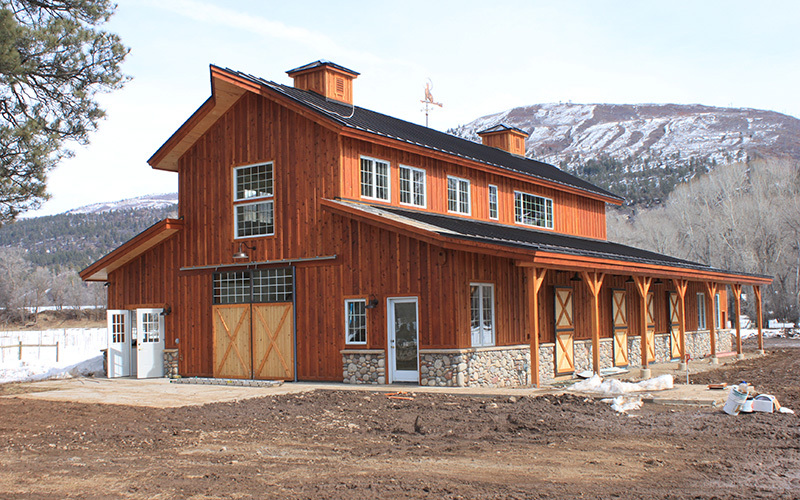 This beautiful timber frame horse barn was built with the same quality and craftsmanship we use to build timber frames homes for our customers. Contact us today about building a timber frame barn for you!